President's Blog - So, Now What? It is Wednesday, Nov. 7, and the 2018 mid-term elections have taken place. In many places, final vote tallies are still being discussed, but we know how Congress will be laid out for the next two years. Democrats now have the majority in the House of Representatives, while Republicans not only held on to their majority in the Senate but increased it. With a split Congress, it will be much more difficult for any legislation coming from the White House to get approved. Government gridlock can be anticipated. Following a Wednesday press conference in which President Donald Trump touted the success of Republican candidates in the election and vowed a unified approach to government in the coming months, the Dow Jones Industrial Average climbed by almost 550 points. Perhaps the thinking is that all of the concern over the mid-term elections prevented investors from participating in the stock market because they did not know which way the wind was going to blow when the elections were over. Now, there is certainty. It’s not the type of certainty that will lead to great legislative accomplishments, and the atmosphere and environment for investing may not change dramatically, but at least we know where influences lie. In a survey of investors one month prior to the election, Spectrem asked investors what they anticipated in terms of final results from the mid-term elections and what effect they expected those results to have upon the stock market. Fifty-two percent of all investors expected Democrats to take over control of the House of Representatives, giving you an idea of just how evenly split investors were on the topic of election results. 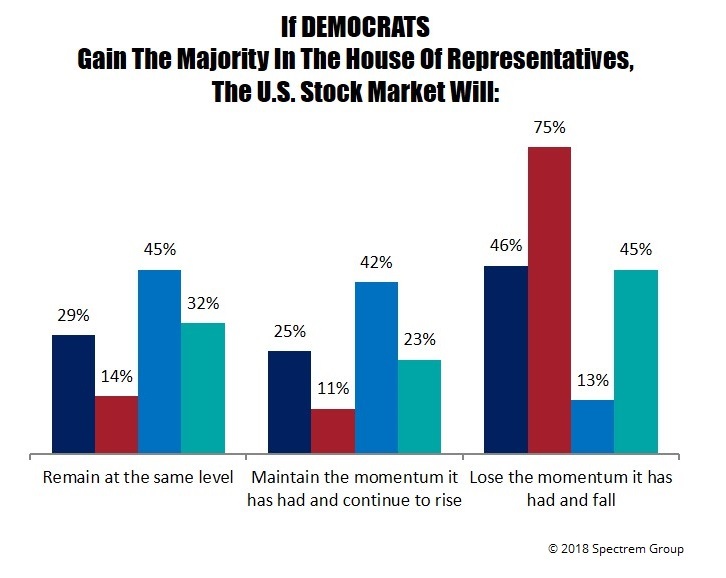 Asked what they expect will happen to the stock market if Democrats take control of the House of Representatives, 46 percent said they expected to see a downturn. Only 29 percent expected the stock market to maintain its level, which remains high despite some recent turbulence. For the first day of the “new” environment, those prognosticators were wrong. The stock market Wednesday climbed back into bullish territory, and could spark further gains as the election results are weeded out. All advisors have certain clients who pay attention to the daily events that impact investing and stock market results. These investors will need to be addressed and consulted regarding how they want to proceed in light of the election results. But advisors need also look at decisions that might need to be made for investors who are not immediately responsive to news of the day. There is one major economic event coming up that could be more significant than the election results, and advisors must prepare for a change in economic growth because of it. While the new Congress will not be seated until January, the Federal Reserve is five weeks away from its final Federal Open Market Committee meeting Dec. 13, and it is at that meeting that the committee is expected to suggest another rise in the federal benchmark interest rate. Some speculation is that because the economy has been growing at such a high rate, the benchmark rate could rise by as much as half a percent, which would really impact investing decisions. It would also raise the ire of President Donald Trump, who does not take such decisions lightly or without some sort of follow-up action to balance the impact of a higher interest rate. According to our report Politics, Taxes and Investors’ Changing Attitudes, 76 percent of all investors expressed concern over government gridlock at a time when Republicans controlled both chambers of Congress. Now that the Congress is split, government gridlock will be of greater concern among investors and could impact investment decisions. But that same report indicated that 58 percent of investors worry about inflation and 45 percent worry about an increase in the interest rates. That study was conducted in the first half of 2018, and those percentages are likely to be higher now. Talk to your clients about how a split Congress and an increase in the benchmark interest rate will impact investment decisions. Talk to them about the impact of President Trump’s relationship with China, North Korea and Europe. 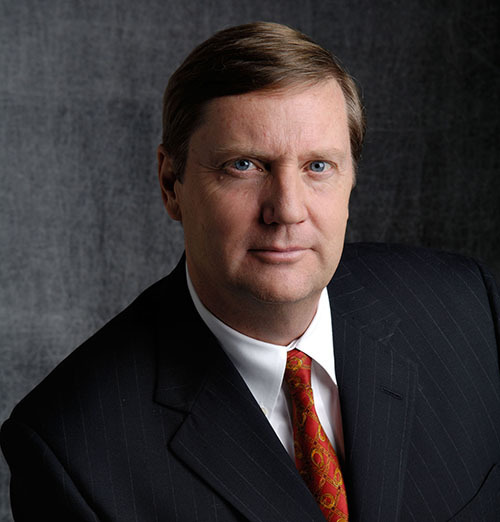 Discuss the Saudi Arabian situation and the possible impact of rising oil prices. The mid-terms are past. Now it is time to get on with the rest of our lives.